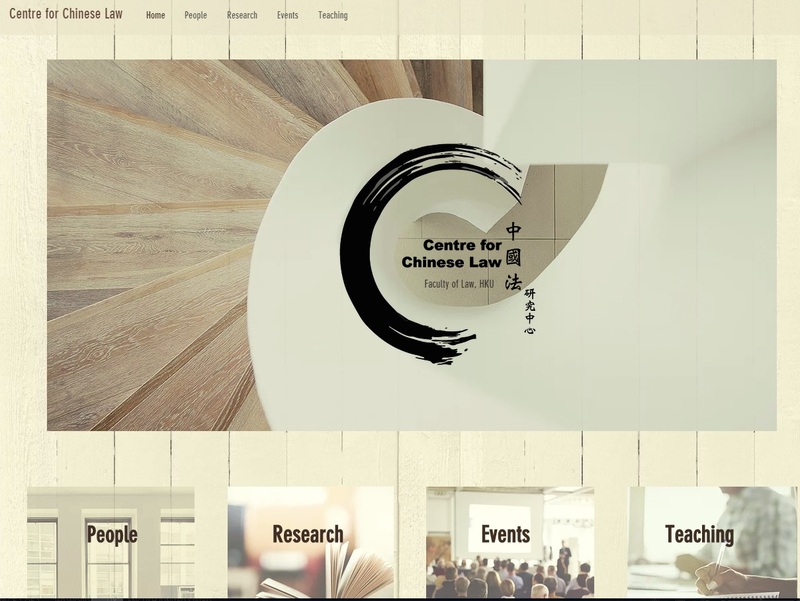 We are delighted to announce the launch of the new website for the Centre for Chinese Law (CCL) of the HKU Faculty of Law: www.ccl.law.hku.hk. In addition to providing a more user-friendly interface, the new website introduces new functions to provide useful information for those who are interested in Chinese law research. Visitors will find publications of HKU Law Faculty members in six cutting-edge areas of Chinese law research: ‘China and International Law’, ‘Hong Kong Law’, ‘IP & IT’, ‘Law/Development/Society in China’, ‘Legal History & Philosophy’, and ‘Mediation & Arbitration’. The site hosts databases for four long-term projects (‘Anti-Domestic Violence in China’, ‘Equal Rights in China’, ‘Death Penalty in China’, and ‘Legal History’), plus ‘External Links’ to other useful resources in Chinese law research. To reach out to the greater China area, our new site contains integrated buttons for two social media platforms in mainland China: ‘the CCL’ weixin public account and the ‘HKUCCL’ weibo account. The website also contains information on major Chinese law academic conferences and events in the greater China area to encourage interactions among academic communities in and outside the region. We hope this new site and our social media platforms will serve as an important on-line hub for researchers in Chinese law research. You are most welcome to join our mailing list by using the subscription function at the bottom of the web page. For any questions or feedback, please e-mail us at: shelbyc@hku.hk. We wish you all a Happy Chinese New Year!